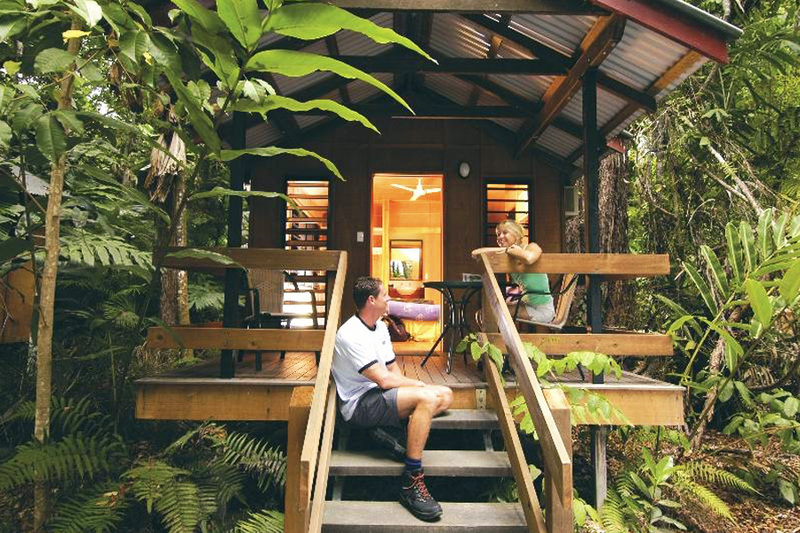 The only beachfront accommodation in Cape Tribulation! Situated right on the famous Cape Tribulation Beach, this distinctive resort offers a huge variety of accommodation options, from budget dormitories and budget double rooms, to spacious family rainforest cabins and private and exclusive romantic beachfront cabins. All of Cape Tribulation Beach House Resort guests experience a truly wild, unique and private tropical holiday with a style and budget for everyone. Book now and get ready to explore a little bit of paradise! All client cancellations forfeit 25% of total ticket price and all client cancellations made less than 14 days prior to arrival will result in complete forfeiture of the full price of the accommodation. If the accommodation has to cancel the booking and we cannot offer a suitable alternative, then a refund will be given minus card fees. We strongly recommend that you have travel insurance.Please advise us before booking if any passengers are under 18 years old to ensure this is the appropriate accommodation.